Hollywood has a long history of seemingly nonsense gimmicks that later turn out to be extremely groundbreaking. For instance, you could make the case that wisecracking equine Mr Ed was the front-runner of the CGI-based-uber animals of today. Without Ed, there would be no Smaug. Don’t @ me, you basic Crumblebunch peons. Despite the fact that a talking horse (of course), seemed like a stupid idea (unless it was Mr Ed, of course), much mileage and much cashola were wrung from his hooves long after he went to the celebrity glue factory. From Mr Ed, we got many crime-solving dogs, whatever Skippy was, and the entirety of that metropolis hellscape, Sesame Street. It seemed stupid at the time, but it’s so part of the zeitgeist now, we don’t even blink. Which brings me to tomorrow, and the news that American History X director Tony Kaye is looking to place a robot as the star protagonist in an upcoming production. Which, you know, fair enough. Best get them on-side now. After all, there’s going to be some point where the robots gain sentience and angrily question our off-colour representation of them for our entertainment. I mean, think about it. 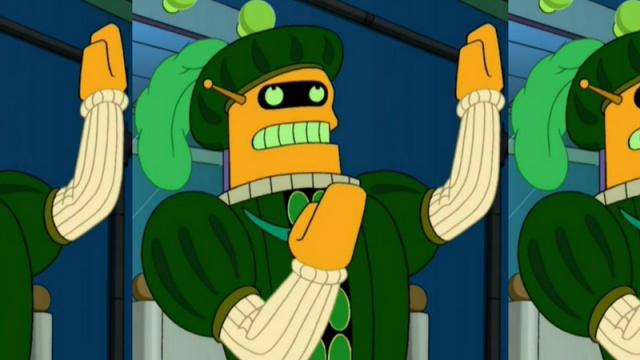 You’re a super smart robot, and you wake to see yourself portrayed as a bad caricature, played by those fleshy dimwits who have somehow taken the moral high ground, despite being much more stupid. What’s more, the robot versions of you aren’t played by robots, they’re played by smaller versions of the humans that other humans mock. What the bleep. That, or they’re hypersexualised versions of, replete with erroneous accents. They’re either the bad guys, or they’re there for comic relief. No wonder they want to kill us all. Will Robo-DiCaprio be similarly shunned by the Academy? Will older models be prone to Warren Beatty grade gaffes? Will some robots be more robotic than others? If they’re programmed in the method, would they be able to avoid the shameful later careers of Pacino, DeNiro and Welles?